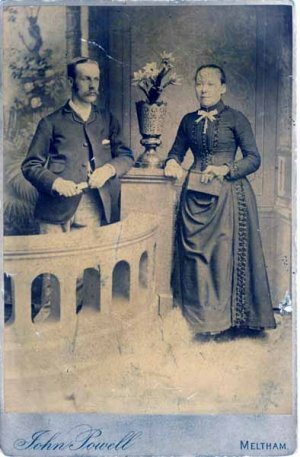 "....Peter BOWDEN and Sarah Ann BOWDEN (nee BROOKS), Florence SLACK's Aunt. Sarah Ann was christened on 6 Oct 1867. This photograph was taken by a photographer in Meltham near Huddersfield. "